Hotel experiences should be memorable. Accommodation should offer so much more than the facilities and design we could find at home. We want to remember our stay for a long time to come and enjoy fantastic experiences with our loved ones, and the following places offer just that. Here at the 10 quirkiest hotels on the planet. For a truly unique hotel that offers stunning views, you can’t go wrong with Falrada Crane Hotel. 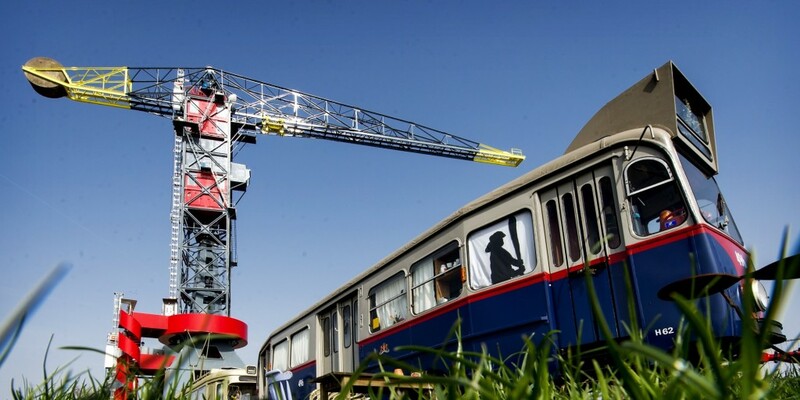 You will have an unbelievable view of Amsterdam in the comfort of your hotel room – and those of you that are brave enough can even bungee jump of the 50ft meter high crane hotel! 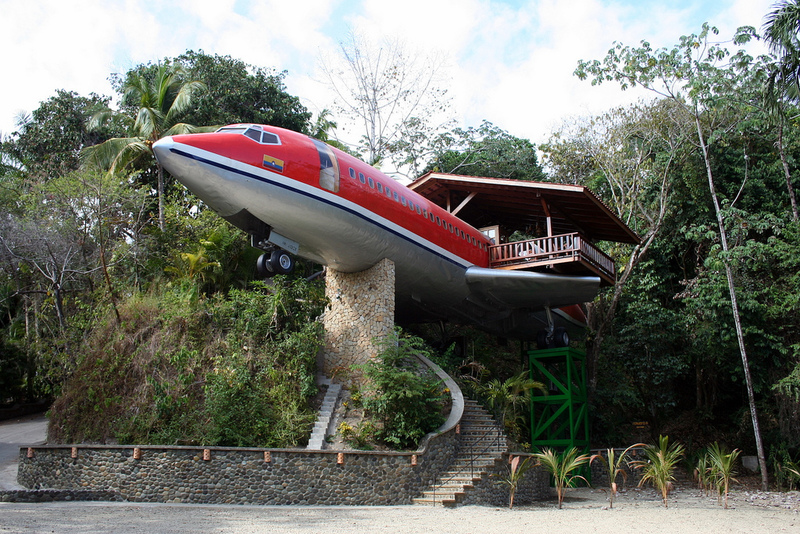 At a glance, you would think the 1965-built Boeing 727 had crashed slap-bang in the jungle; however, it is a stunning hotel that has to be experienced to be believed. The magnificent jet, which was salvaged from San Antonio airport, is located in Manuel Antonio National Park and luxurious rooms, breathtaking views and a C-123 Fairchild Plane restaurant. Have you ever dreamt of staying in a tree house? Of course you have! Even as adults that’s one childhood dream we’ve never been quite able to let go of. 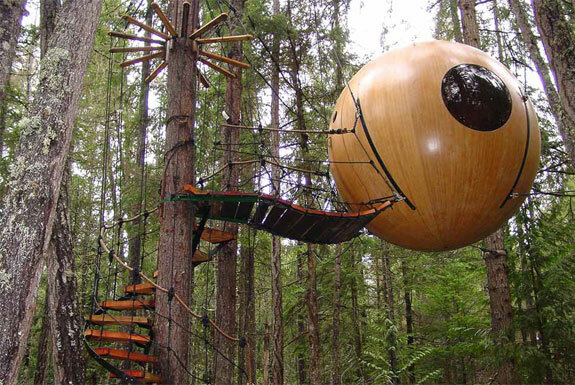 Free Spirit Spheres make that dream a reality, as they offer unique tree house accommodations in the west coast rainforest of Vancouver Island in Canada. The tree-houses, which are suspended in the air, will gently sway, rocking you to sleep. Utter bliss! If you are looking for a barking mad hotel stay, the Dog Bark Park Inn should be your first port of call. 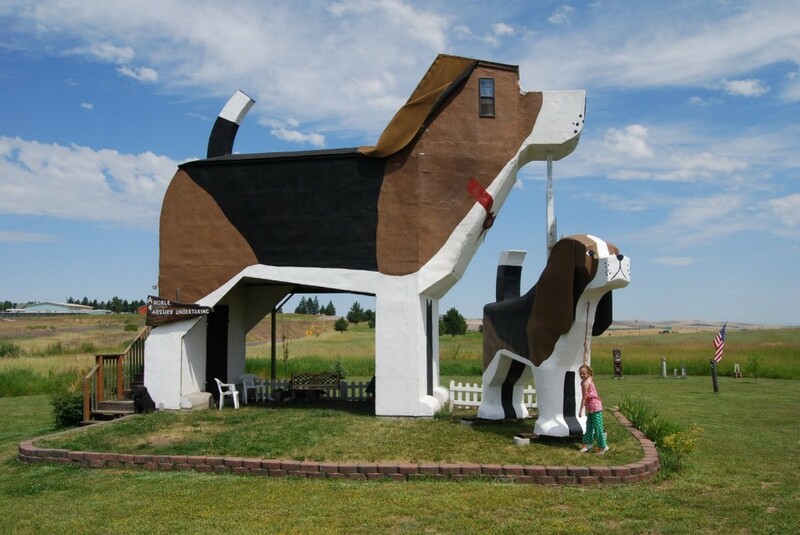 Located in Idaho, USA, this quirky bed & breakfast is located inside a ten metres high and 5 metres wide beagle, who you can call Willy. Inside his stomach is a comfortable double room, and there’s also a loft inside his muzzle. The Livingstone Lodge is the UK’s only overnight safari lodge, offering all the sights of an African safari. 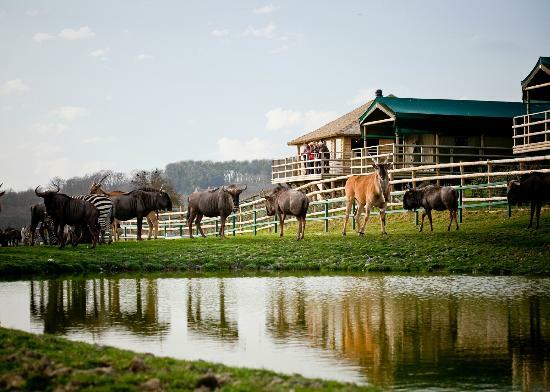 It’s hard to believe this unusual accommodation is located in Kent, as a Jeep safari will transport you across a 100 acre park where you can see giraffe, zebra and wildebeest. Are you a chocoholic? 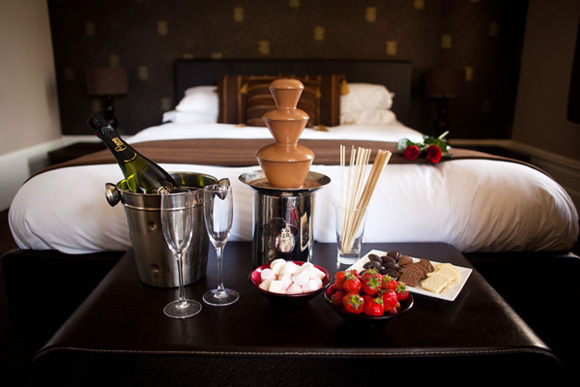 Well, you will be in for sweet stay at The Chocolate Boutique Hotel in Bournemouth. All the rooms have been inspired by smooth, creamy chocolate, decorated in warm brown and caramel hues – it’s like a big Mars bar you can walk into. You’ll also receive daily helpings of delicious chocolate. Yummy! Inntel Hotel stands out from the crowd. Quirky on the outside and luxurious on the inside, it has everything a traveller could want in overnight accommodation. 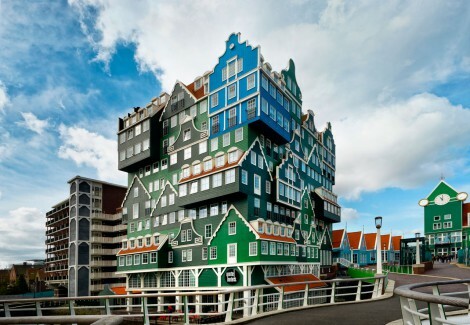 The hotel has been inspired by the traditional housing in the Zaandam region, offering a design that demands your attention. You won’t find anything quite like Poseidon Undersea Resorts, which can be found on the private tropical island of Fiji. 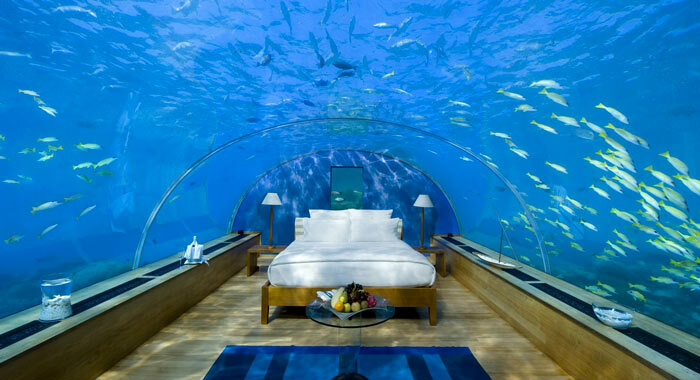 It is the world’s first undersea resort, which allows guests to enjoy all the benefits of a spectacular aquarium in the comfort of their hotel room. You will fall in love with abundant sea life and the many activities on offer at the hotel. Ever wanted to spend an evening in a wine barrel? That’s just a regular Friday night for us here at The List Love! 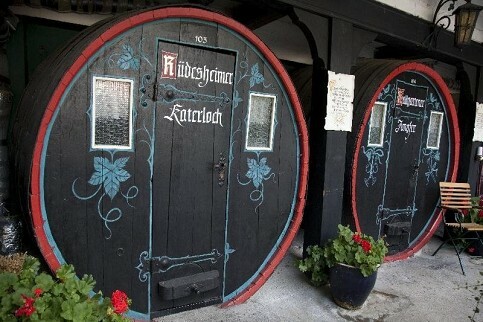 If you do want to stay in an actual wine barrel, you must book a room at Hotel Lindenwirt, which offers accommodation in six huge wine barrels that once stored six thousand litres of wine. You’re bound to want a bit of wine with your stay, too, right? Well, you can spend the evening wine tasting at the Rhine Valley. Hotel Ješt?d is more than just a hotel, it is a unique piece of architecture. 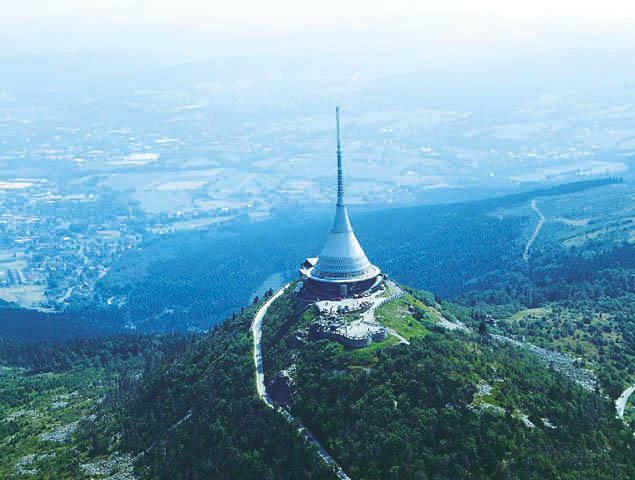 It is a 94 metre-tall tower located on the Ješt?d mountain and was created to transmit television signals. It also offers a hotel and restaurant on the lower section of the tower, and is therefore a major attraction in Liberec as it offers exquisite views of Bohemia and various parts of Germany and Poland. 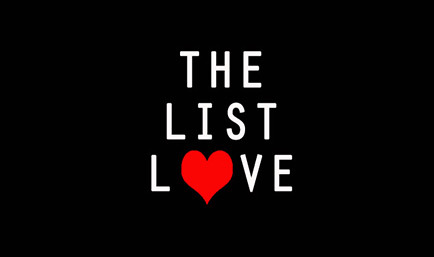 Follow The List Love on Facebook, Twitter and Google+. For more interesting destinations, take a look at the 10 Most Unusual Restaurants in the UK.